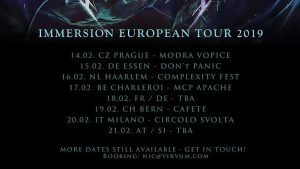 A couple of weeks ago Belarusian technical death metal prodigies Irreversible Mechanism announced they will be embarking on a European tour coming February. Now these guys have been on my radar ever since they released Infinte Fields back in 2015. How did I find out about them? I’m so glad you asked. 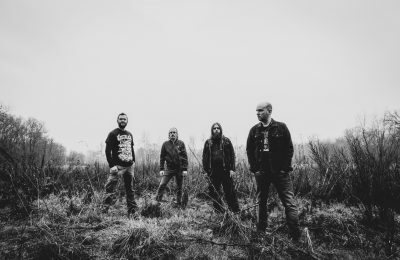 Their album cover was designed by none other than my very favourite metal artist Par Olofsson. This isn’t the main reason of course; their music simply blows my mind. 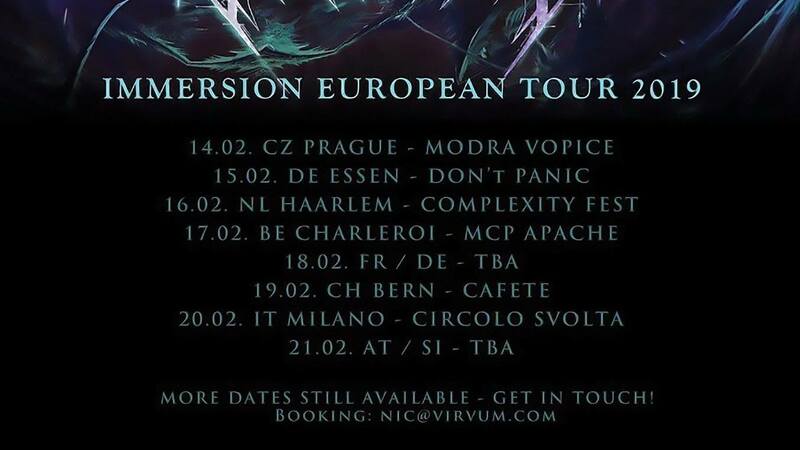 I’m picky when it comes to tech death, because not all bands in the genre do it for me. Infinite Fields is more than worth checking out though. 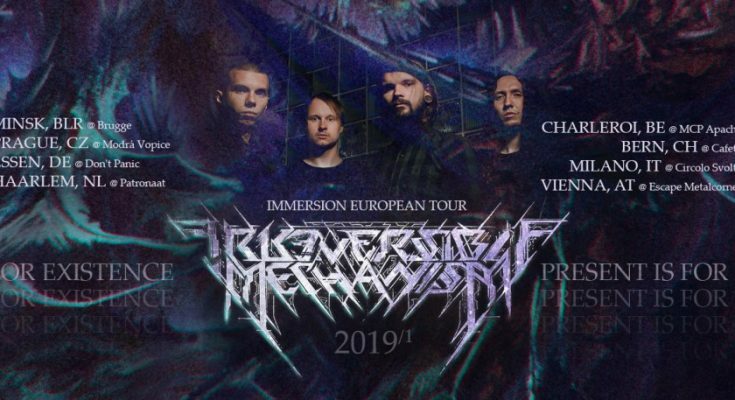 Irreversible Mechanism are playing Belgium with Catarrhal (death metal – BE) and CrushBurn (melodic death metal – FR) on February 17th, 2019 at the MCP Apache venue in Fontaine-l’Evêque. Follow the event and get your tickets here. Be sure to come en masse to the technical night of your lives, because who knows when these Belarusians will be back.